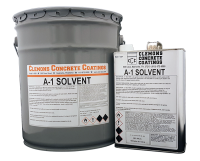 Aromatic 100 is a solvent that can help restore the shine for pavers that have been previously coated with a sealer. Often time a paver sealer can dull or turn white from moisture or sealer build-up. The Aromatic will emulsify the sealer so that it will look new again.